Ok so lately, I’ve been trying to detox (a little). Between all the food that’s been around during our cookbook testing and all of the food I’m about to eat in Italy – I’ve tried to clean (and green) things up over the last few weeks. Cheesecakes and pizzas aside (and oops, early gelato), I’ve gotten back to my salad-ey lunches and green drink routines. 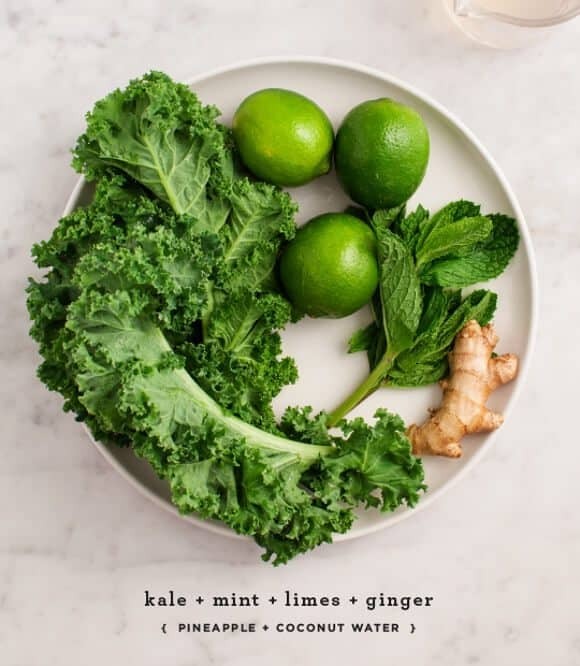 So it was perfect timing that Tess Masters (a.k.a The Blender Girl) sent me a copy of her new book The Blender Girl Smoothies. 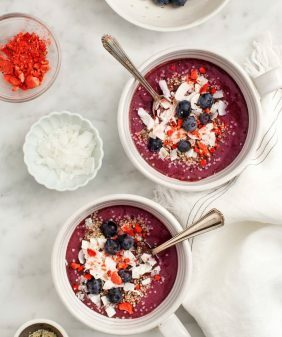 It’s packed with over 100 super unique, superfood smoothie recipes. I get sent a lot of books but truthfully, the books I end up choosing to write about are usually the ones whose authors I have a personal connection with. I met Tess about a year ago where we shared a vegan meal at Bouldin Creek (one of my favorite neighborhood spots). 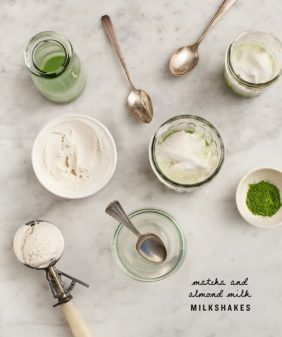 Either way, her new book The Blender Girl Smoothies is a guide to a rainbow of creative smoothie combinations ranging from light breakfast recipes to indulgent dessert smoothies – (hello Apple Pie in a Glass, I’m coming for you this fall!). Reprinted from THE BLENDER GIRL SMOOTHIES Copyright © 2014, 2015 by Tess Masters. Published by Ten Speed Press, an imprint of Penguin Random House LLC. Love it! As of the last week or so I’ve been on a real smoothie kick. 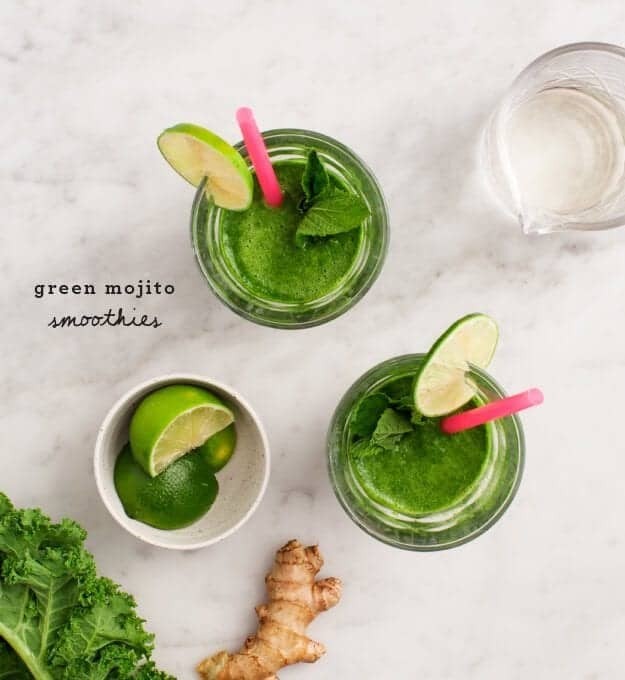 I love mojitos and I’ve been trying to keep some green in my smoothies, so this one sounds perfect for me. I’ll have to check out her book! 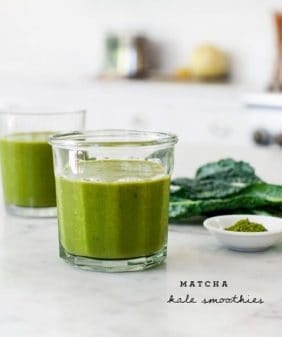 If this smoothie recipe can get some detoxing action going on then I’m in, lol! 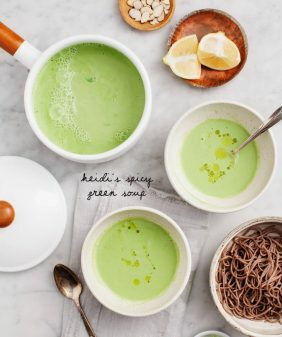 It looks seriously green – screams healthy, fresh and cool. What a beauty! You had me at mojito! This is the best smoothie! I made it yesterday and added mango. I’m making another one today. I’ll try to remember to snap a photo before I drink it all. Confused, are the 3 quartered limes blended up peel and all? Here’s what I did: zested them, then sliced them into quarters. I removed the peel and seeds, which left me with 4 lime pulp chunks that I tossed in the blender. Just right for that mojito flavor. thanks, that’s what I was thinking of doing but thought perhaps the peel was kept for a reason, though it didn’t seem very appetizing! 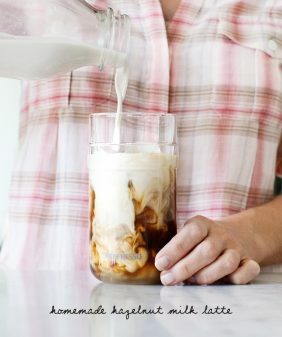 it’s too hot here in Barcelona I think I need this drink right nooow!!! 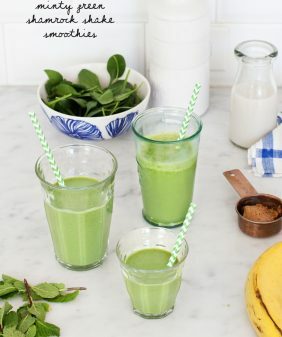 This smoothie is so GREEN!! I love it! Very colorful smoothie. looking delightful..